What I like: The deck building campaign mode offered just enough moving parts and variety to keep me engaged. The goofy story bits were sometimes amusing. Not So Much: The custom games are probably a bit too repetitive to hold my attention. Other Stuff You May Like: Competitive mode can be played hotseat with or against another human, or any creature that can work a computer. The Verdict: I had a fun time working through the campaign and a small handful of custom games. This isn't a game I'll play for 100+ hours but did enjoy my 3 dozen hours or so. Concrete Jungle is a city builder themed deck building card placement game. What the heck does that even mean? Don't think SimCity, Anno or The Settlers. 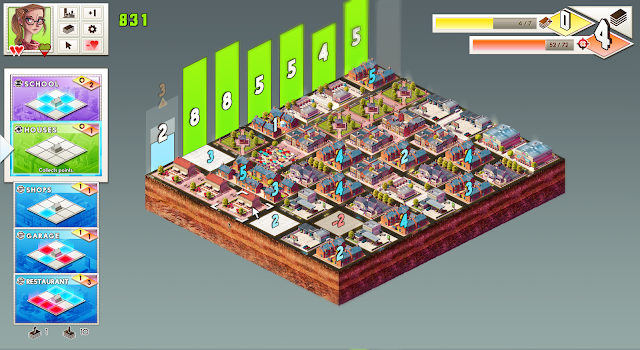 Buildings are placed on a board to collect points. No mining gold or production chains. There are 4 basic ways to play. 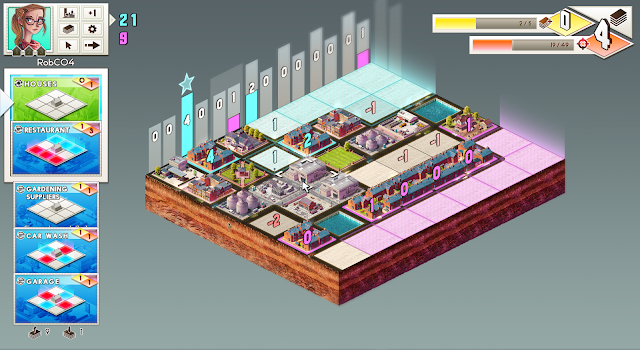 Solo - the player is the only one placing buildings on the board. Competitive vs AI or another hotseat player - multiple players are competing for points on the same board. Classic - same as solo, but the deck building aspect is removed and the player is randomly fed cards. At first I'll cover solo mode. I'll cover the wrinkles added in competitive mode later on. Basically, the game goes like this. The board is arranged into columns. 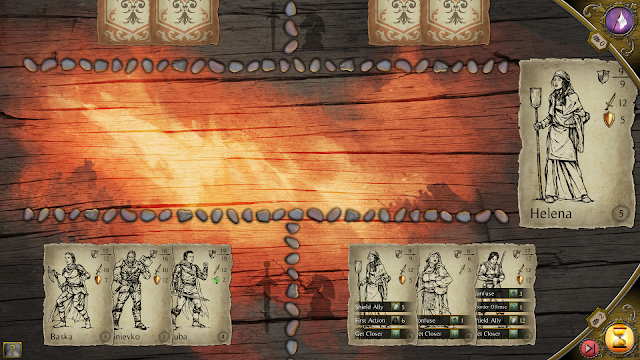 Buildings (cards) are placed onto the board for a variety of effects. Tiles can have a point value associated with it, either due to starting conditions or from the effect of played cards. Some cards can claim points, adding them to your score. Others have different effects - such as raise or lower the point value of tiles, moving the points from one tile and putting them on another, negating the value, and more. Most cards differentiate themselves by the pattern of tiles that they affect, but some of the special ones are a bit more interesting. 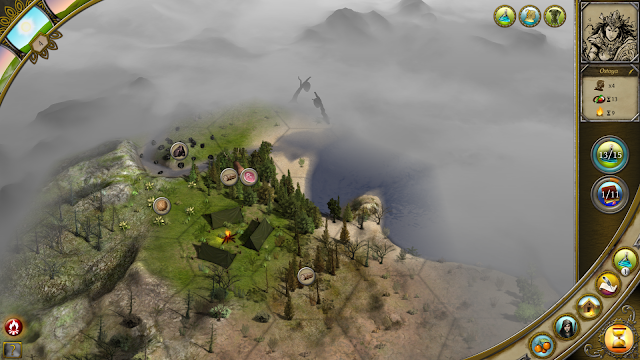 An early scenario in the campaign. 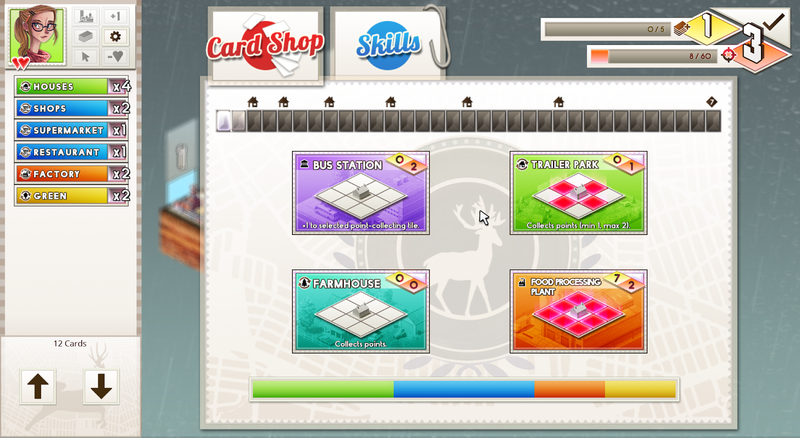 In the screenshot above, the card list on the left shows which cards are coming up - but only the top two can be played. The houses can claim points. Place them onto one of the blue or red numbered tiles and those points are yours. You don't really want to claim the negative tiles since they lower your score, but you may not have a choice if the board starts filling up and the luck of the card draw doesn't cooperate. The restaurant raises the value of the 3 blue tiles by one and reduces the value of the 3 red tiles by one. The factory only reduces tile values. Why would you want to play one of those? Because they help increase your technology level so new cards can be purchased or abilities unlocked. Technology is one of the two resources to manage and is displayed in the yellow diamond. The house doesn't give the player any technology benefit since it's yellow diamond is 0, but the restaurant and factory do. Once enough technology is accumulated, you can purchase a new card or ability. ... unlock a new ability. Many times an ability is simply acquiring a special card. 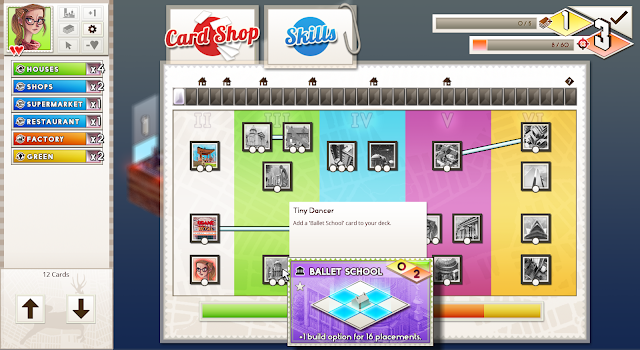 After the ballet school is played on the board, that player can choose one of their top 3 cards to play instead of the top 2 - providing a bit more flexibility. It's amazing how much that can help sometimes. All abilities on the tree aren't unlocked right away. 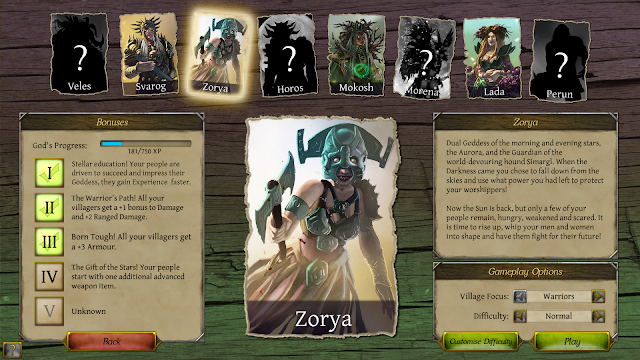 As new cards are added to the deck when the technology level is increased, higher tiers of abilities are unlocked. Technology upgrades are a balance of choosing useful cards in the shop and unlocking the abilities. There are 8 playable characters once you beat them in the campaign. They do play differently enough to add variety and have cards in their ability tree that are special to them. 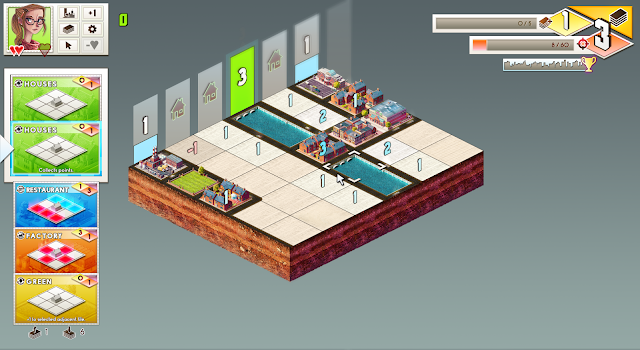 As the city is developed, the available tiles fill up. The left column must be cleared before a new one appears along the right edge, providing more space for development. It's game over if there aren't any more free tiles to develop. The left column can only be cleared when enough points are claimed. This target value rises as the player accumulates costs from placing buildings. The player does get one free pass to force the left column to be cleared and can earn more as points are scored. Each card has a cost associated with it (displayed in the orange diamond). When the accumulated costs hits a threshold the point total needed to clear a column goes up. This makes the game more difficult to continue as progress is made. I'm packing in as many point collecting buildings as I can since bonus points are scored for clearing multiple columns at once. There is a risk of not clearing the left column if I get too aggressive. 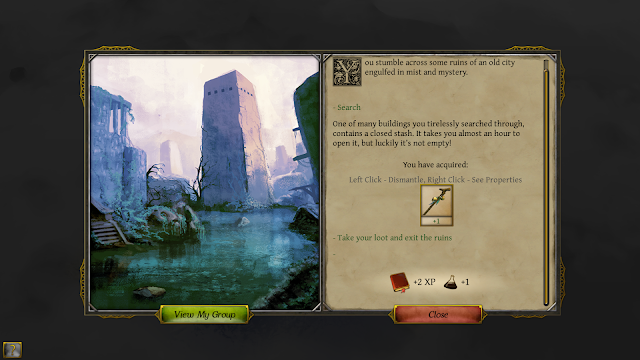 Solo games end when either enough columns are cleared, or if the player fails to clear the left column and has nowhere else to build. Custom games can be set to endless mode, where failure is the only end of the game. Basic leaderboards are available in either case for those motivated by chasing scores. The leaderboards are rather basic, showing only the top ten scores, which can be filtered by friends. Competitive (versus) mode offers up some new challenges. The board is divided up into an area where only the blue player can build, a neutral area in the middle for either player, and an area where only the red player can build. That doesn't mean you can't affect the other player though. A building can be placed on the edge of the other player's area to lower their score. More advanced buildings exist that affect an entire row or column too. Special one-time use cards can be unlocked to steal the points from the enemy's tile and plop them onto one of yours. You can also mess with the other player in other ways. I've claimed the 2nd column with 4 points. If the other player can manipulate his pink tile to have a negative value and then claim that title, I'll get those negative points too since the column is mine. If the other player had positive points but less than 4, I'd acquire those additional points too. Battles for columns can be risky because it may lead to giving the other player more points if you fall short. In competitive mode the left column clears when the point threshold is met or it is fully developed. There is no penalty for not reaching the point threshold like in solo mode. 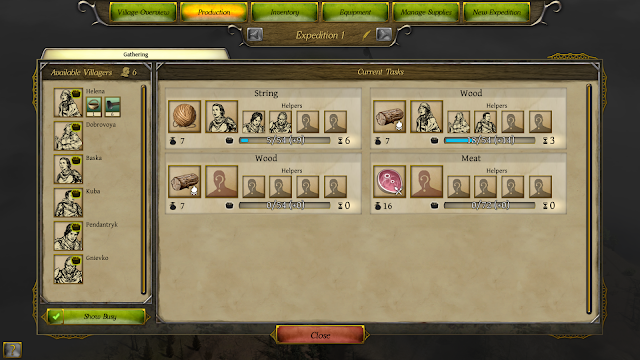 The game also contains an 18 mission story-based campaign, which is a mixture of solo and competitive play. It starts off teaching the ropes and progresses to some challenging competitive play. The story is intentionally goofy and can be fairly amusing at times with its odd cast of characters. One big advantage of campaign mode is that the competitive play contains a variety of maps. It isn't always separated into areas of 2 columns for the red team, 2 for the blue and 2 neutral. 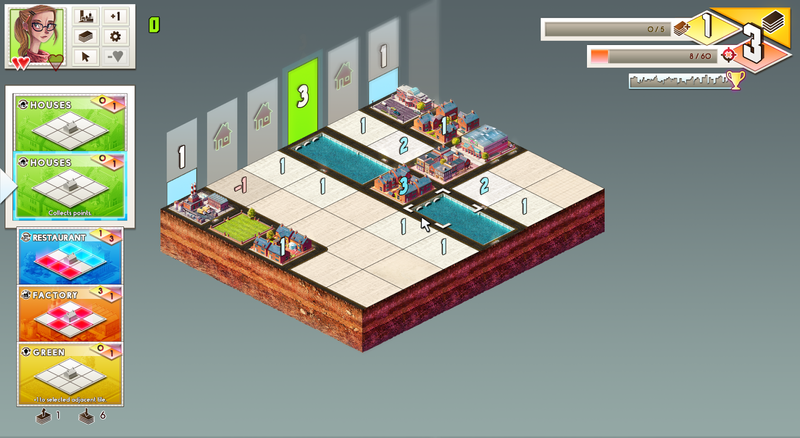 There can also be tiles which already contain points, or buildings which take away development space. This variety elevated the game for me, where the custom games get repetitive. I can't imagine the game taxing most machines. 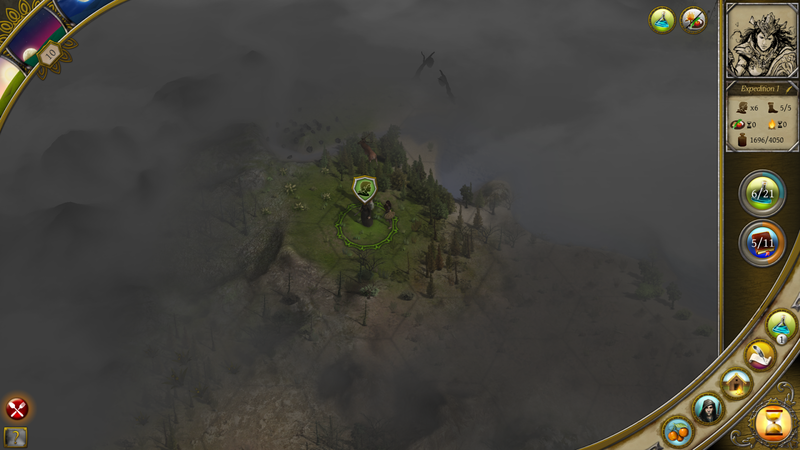 The AI does think a bit before taking its turn, but it is a matter of seconds, not half a minute. I haven't had any crashes. My specs: Windows 7 64-bit. Intel Core i& 860 @ 2.80 GHz. 8 Gig RAM. NVidia GTX 970. Concrete Jungle is city building in theme only, but that's OK. Overall, I've had a good time with it. Since it is a deck building game, there is luck involved but I feel the player has enough agency to have enough of an effect on the outcome. The campaign wasn't too challenging until the final 4 scenarios or so. Two were particularly tough. When I snatched victory away during the final moments it did feel rewarding. Some players may be turned off by having to unlock characters by playing the campaign, and needing to play to unlock some cards, but I like having the carrots dangled in front of me. While I think competitive mode offers that most interesting decisions, and I enjoyed the competitive missions in the campaign, I don't think I'll revisit them in custom games. I'm kind of a score chaser by heart and there aren't any leaderboards for competitive mode. 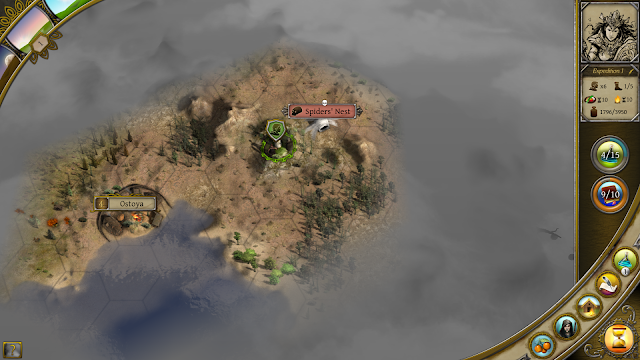 The AI did smartly place their buildings. I was glad the AI didn't blunder its way through the game. Frankly, I may try a handful of endless mode solo games with the different characters, but I feel that I've seen what the game has to offer. I enjoyed my time with Concrete Jungle and have played for 30 hours or so. To me, that's plenty for a $13 game. While I don't think it is probably on many people's' "Must Play" lists, Concrete Jungle is a solid game. In fact I wasn't even planning on writing a review, but after wrapping up the campaign I liked it enough so I wanted to share my thoughts. 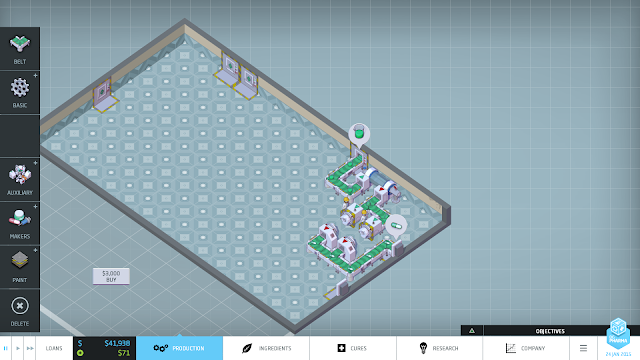 What I like: Setting up complex production lines within the space allocated. Having multiple ways to deal with some problems. Some tense moments provided by the AI competitors. Not So Much: At times some clicks don't want to select an item. Ingredient discovery was a little bland. Other Stuff You May Like: Free build mode and custom game setups. The Verdict: Seems like a good choice for anyone interested in setting up and tweaking production lines in a confined area. Disclaimer: A review copy was provided by Positech Games and Twice Circled. As a child, didn't you dream of finding the right natural products in forests and deserts and developing them into effective treatments for the world's maladies? Well, neither did I - but that doesn't mean it can't make for a good game! The main draw of Big Pharma is solving logistical and spatial problems, slightly similar to SpaceChem. 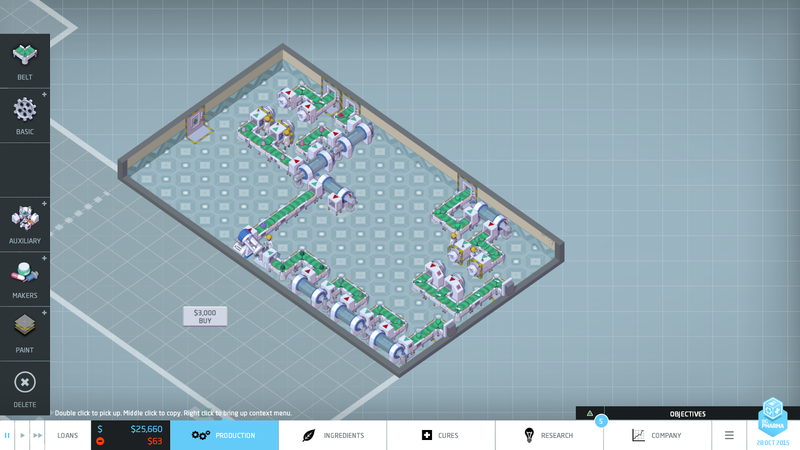 Big Pharma requires the player to layout machinery and conveyor belts within a limited space to transform a drug's ingredients into a profitable (and hopefully effective) drug. Layered on top of this is managing a simple research tree, finding new drug ingredients, protecting your products with patents and managing cash flow. 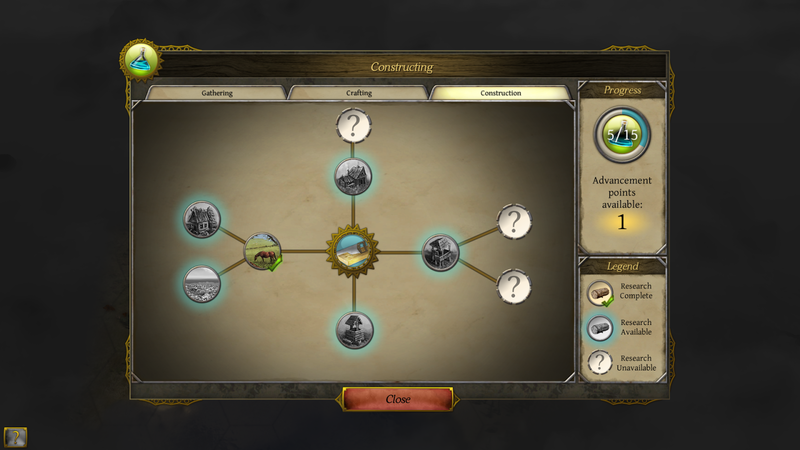 The game is presented as individual scenarios with varying goals, separated by difficulty, which can be played in any order. 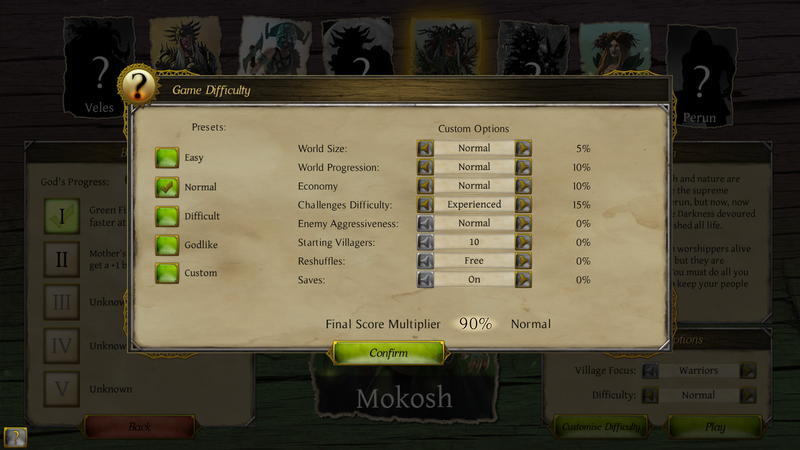 Additionally you can create a customized game, adjusting many parameters, including setting multiple victory conditions. For those who like to build without worrying about managing their money, Free Build is probably for you. Each scenario has 3 victory levels to give the player different goals that they can shoot for. Since the scenarios aren't locked, there isn't a penalty for failing other than hurting your pride. Certain aspects of the game are randomized, so replaying a scenario isn't the same exact experience even if the overall structure is the same. This could make a given replay more or less difficult than others, but I never found it to be unfair. Big Pharma could use an online leaderboard for score chasers like myself. 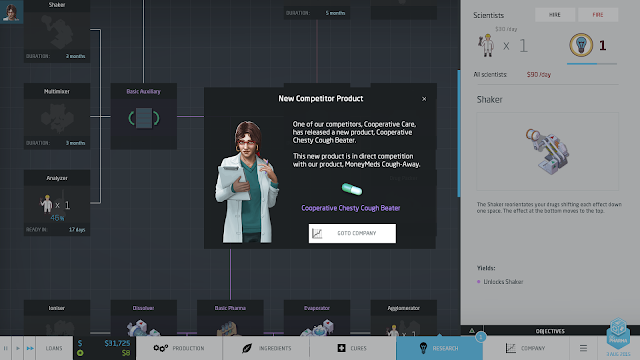 Big Pharma's tutorial does a good job illustrating most of the game's mechanics. I felt prepared to tackle the game's first scenario, finishing with an expert victory. The tutorials don't cover the more advanced equipment, but it isn't difficult to figure out how to use them. Even though the game's rules aren't that complex, it could use a manual or in game help so the player could refer back to the concepts covered in the tutorial without replaying it. Most items do have the relevant information within the game, but a manual would still be helpful. Deciding what disease to treat can be based on different factors and the goals of the scenario. 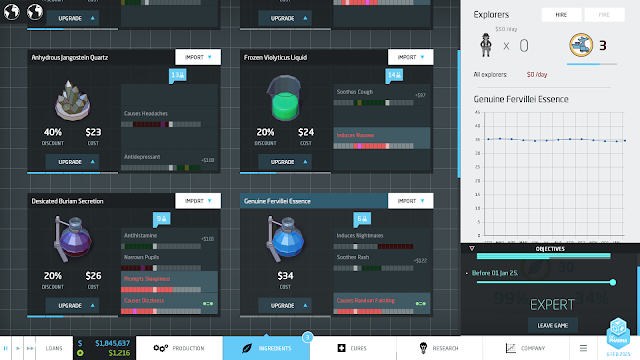 Available cures are determined by what ingredients your company has discovered. Simple cures only require one ingredient, while more complex cures can require multiple ingredients and more advanced instruments. Complex cures require more work, but can offer greater monetary rewards. At the beginning of this game I have the ingredients to treats coughs or diabetes. How to decide where to start? Well, each of those treatments have some values associated with them. It appears that treating coughs will bring in more revenue since its value is higher, driven by the demand for the treatment. 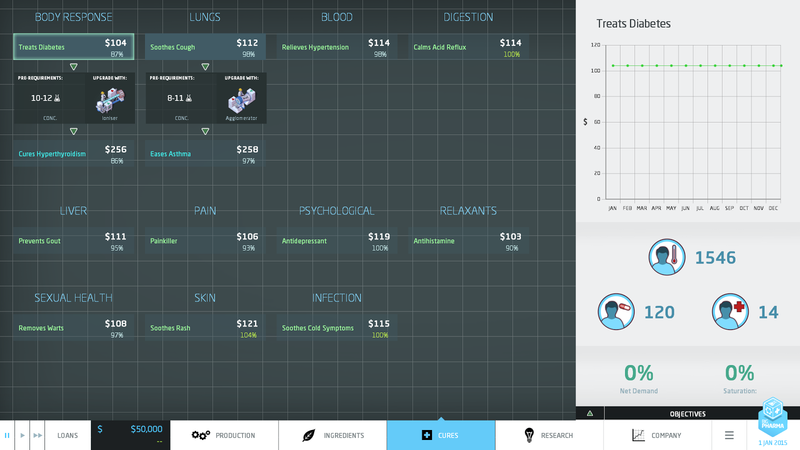 It's not quite as simple as that because your revenue will also depend on how effective the treatment is. 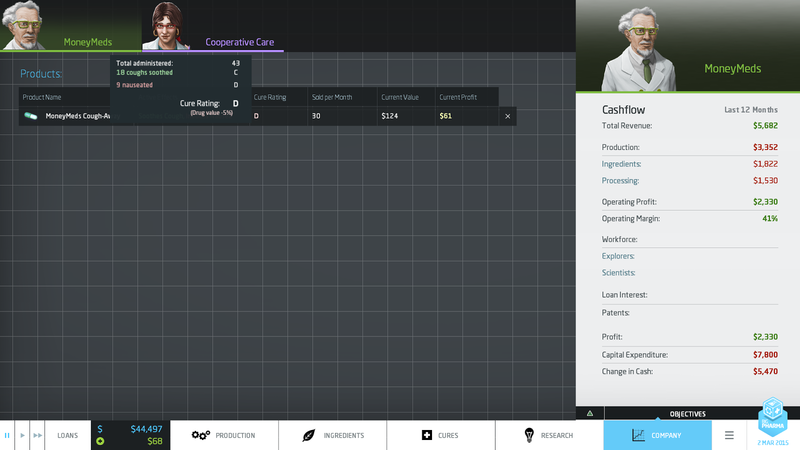 Profits will also be affected by how efficiently the ingredients can be processed into the drug, because each instrument in the assembly line increases the product's cost. It isn't always obvious what the stumbling blocks might be before trying to discover a new cure, kind of like real life I guess. Pharmaceutical companies have to go through a lot of drug discovery before finding one they can bring to market. The game captures that a bit. Ingredients also have side effects which can hopefully be mitigated. An ingredient that soothes coughing may also cause nausea. Side effects can be avoided, or at least mitigated by adjusting the concentration with instruments, or combining ingredients in different ways. 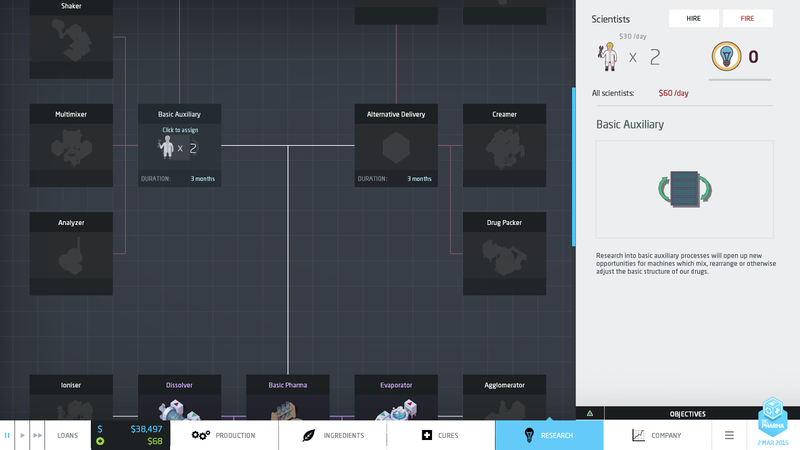 More advanced techs in the research tree open up more ways to overcome obstacles. This drug didn't take too much processing because its concentration only needed to be slightly reduced so it would treat coughs. The result was put into pill form and shipped out of the factory. Ingredients and products can only enter and leave the factory at particular locations, and space is a precious commodity. How the equipment is laid out really matters. The game probably won't appeal to those who don't enjoy solving these logistical and spatial puzzles. I find them interesting. Ultra efficiency isn't required, at least to achieve the easier victory conditions. When the game isn't paused, time ticks by in daily increments. Ingredients are imported and move along the conveyor belts and processed by the different equipment installed on that product line. Each of those actions costs money, which is deducted from your company's cash. When the product leaves the factory the company collects the income. Keeping an eye on your cash balance is necessary because you don't want to run out in the middle of creating a production line. Loans provide a quick influx of cash in a pinch. Things get more interesting when cures require adding multiple ingredients.Ingredients can have up to 4 different effects. When two ingredients are combined and have an effect in the same position, one effect will be preserved and the other thrown away. 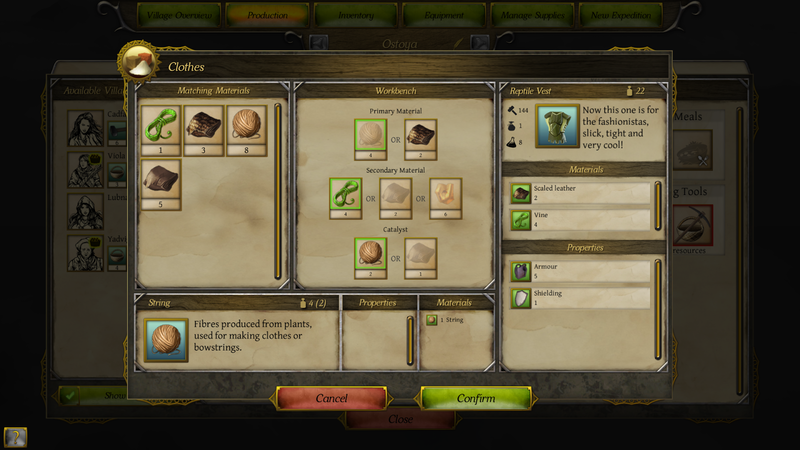 The player can choose which ingredient is the base and have its effects preserved. This is one way negative traits can be removed from a drug. One of the instruments even lets a drug's effects be shifted one position to another to help engineer the desirable traits into the drug. More powerful options exist too. Once a drug is in production, some time is needed before determining how effectively the ailment is treated or how prevalent any side effects are. Crikey! A little less than half of the customers using the product below get any cough relief and more than 20% are nauseated. This adversely affects the cure rating which results in less money collected for each unit shipped. Adjusting the concentration can affect how much our drug helps the ailment, or how frequently our customers get nauseous. At this point the best concentration isn't known, but we can find out with some research! Over time with more data collected, the cough suppressant was even worse than initially feared. It only helped about 33% of the people who took it while still making just as many nauseous. It earned an E rating cutting into its profitability even further. Hiring scientists costs money and keeping them on payroll drains profits, but they are necessary to get access to better equipment. They can also reduce your operating costs. 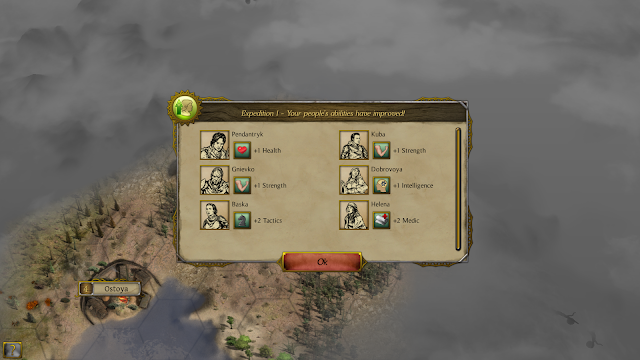 In the early game it's easy to overextend yourself by hiring too many people. As CEO, you decide when it's time to pursue more advanced technologies. The analyzer tech helps solve the problem with the cough suppressant above and maybe find a concentration where coughs are better suppressed while making the customers less nauseous. In this case, utilizing the analyzer revealed that the concentration the cough suppressant works best also makes the most people nauseous! There are ways to mitigate this after researching the proper tech, but it's not always wise to increase the cost of making a drug since it's not always profitable. The resources can probably be better utilized for pursuing other treatments. Some cures are more financially rewarding than others. Higher tier cures require more processing to bring to market and may require some equipment that must be unlocked with research. Researching an agglomerator enables me to transform my cough remedy into a more profitable asthma treatment. We're not talking about aliens here, but other companies. While you're busy developing your own products, they are too. They'll fulfill the demand for treatments and buy ingredients (which affects their price). Hey! They're also producing a cough remedy. I'm not sure if the other companies are actually playing out the game with the same rules as the player or if they're more of an abstraction since they operate in the dark. With some espionage tech more information is revealed about what they're doing. Most of the challenge resides in processing the ingredients efficiently to produce the desired effects and then getting the instruments' inputs and outputs lining up in such a way the ingredients can be moved along the production line from the points of import to the place the product is exported from the factory. Conveyor belts can't cross over or under one another so it's quite possible to paint yourself into a corner. The instruments can be rotated, but they can't be flipped, so it can be difficult to align the inputs and outputs in a way that keep your design neat. These situations may be able to be fixed by adjusting the instrument layout, or researching equipment so fewer instruments are needed to process the drug. Instruments can be moved around at will, but the conveyor belts must be sold off for a loss. It's a small amount of money in the grand scheme of things, but it would be nice if the player could lay out their plans to experiment before committing to them and paying the money. Sometimes these situations can be frustrating, but it's just part of the difficulty and the rules of how Big Pharma works. It may just be that I'm spatially challenged. After researching more powerful instruments to adjust drug concentration I was able to bring an asthma medication to market. Unfortunately my competition beat me to it. Using the analyzer I was able to determine the concentration the drug will be most effective, without any side effects! Without researching the new instruments, I don't think I could have fit the asthma product line within my current building. Now it's time to expand my factory. One of the things I like about the game is that I always seem to be considering something - the next cure to pursue, how to improve the cure grade of an existing product, when should I research the analyzer so I have more insight into the products I'm creating. Should I borrow money so I can afford another product line or some researchers. For the most part the interface supports the decision making process, but there are a couple places it falls short. Scientists can reduce the cost of running a particular type of instrument. To make that choice, it is helpful to know how many of each machine is in use so it can be determined what will save the most money. The only way to do this is to count them manually. Ingredients are handled a little better because that screen shows how many units your company purchases, but there isn't a screen that aggregates that information, so you need to do quite a bit of clicking. Even on a beginner scenario things can get pretty involved. I think my slow starts are preventing me from getting the Master ranking, so even the beginner levels can provide a challenge when going for the harder victory conditions. The game really shines when playing the advanced scenarios. The higher tech equipment leads to more interesting ways to combine and process the ingredients. In the beginning and middle of the game, the play speed isn't much of an issue because I'm usually involved managing the business in some way, but there are times I wish I could make the game run faster. It can run in the background, so it's possible to take a break and do some web surfing, but having the possibility of a faster game speed would be nice. 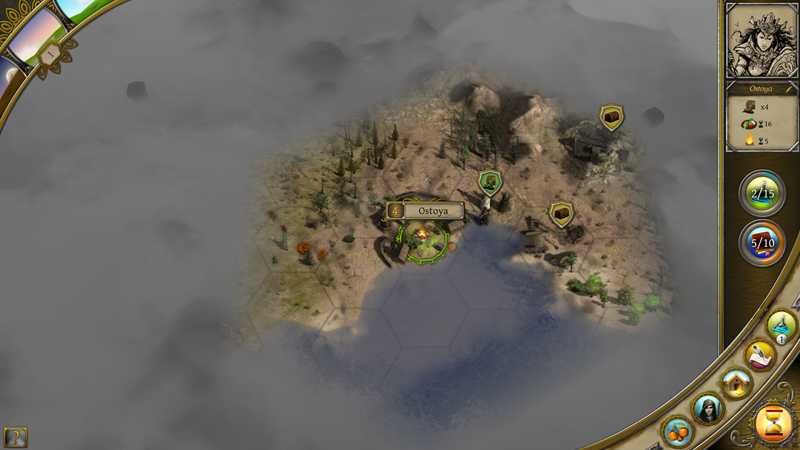 Big Pharma should take a cue from a game like Europa Universalis that have very speedy fast forward levels. The game also pops up some world events, which seem to just increase or decrease the demand for particular cures. Sometimes they don't really last long enough to make product line adjustments based on them, so they more or less just feel like random perks or penalties to a company. The music is upbeat and perky, but either the tracks sound similar or there aren't a lot of them. Each time I pay attention to the music it feels kind of samey. It's not a big deal since the music can be muted once you get tired of it. I didn't encounter any major issues, even with frequent alt-tabbing out of the game. The game does seem to have problems registering clicks on items sometimes, such as it I'm trying to select an item on the conveyor belt. The icons at factory import and export points also get it the way at times and make it difficult to select what's near them. I went into Big Pharma expecting to enjoy the game and I wasn't disappointed. 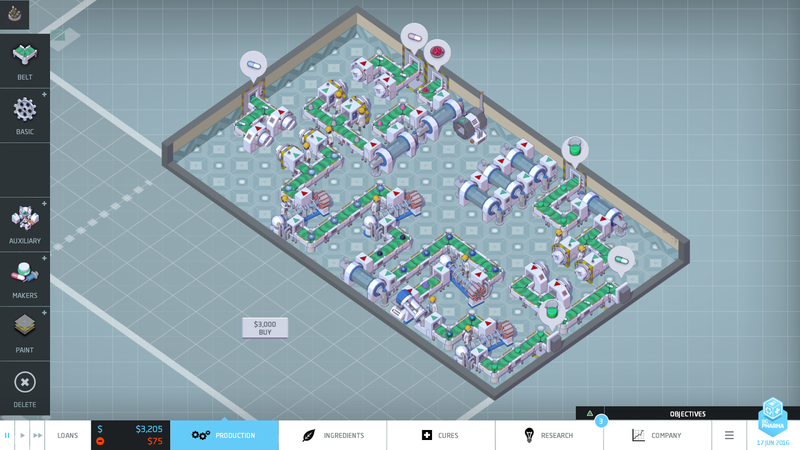 The game focuses on setting up the production lines - it really isn't a business sim, but I don't think the game suffers because of it. There is plenty to think about. 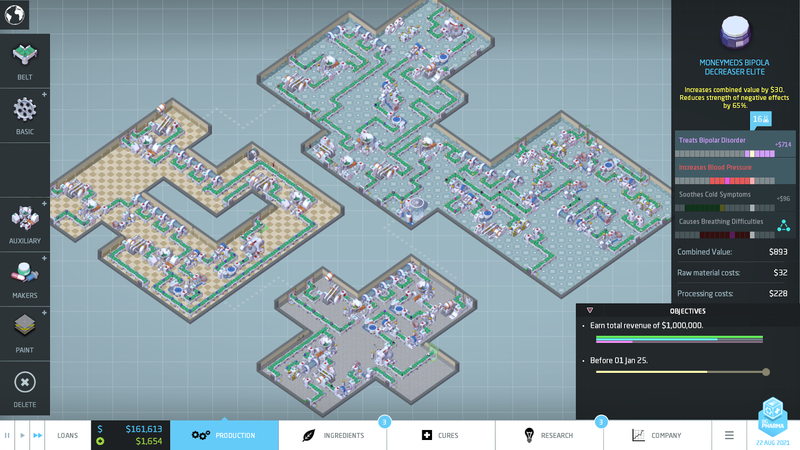 It can be very satisfying to tweak a production line to operate more efficiently, or to engineer out one of the pesky side effects. Probably do to my inability to think ahead, I'd have to re engineer my plans to overcome an obstacle I didn't anticipate. On the first advanced scenario, money was much tighter and the game provided a tense challenge. Sometimes competing against the AI feels arbitrary, maybe because they're mostly just messages that pop up. I don't feel like they're going through the same process as me. They are effective though - I would curse them when they patented a cure that was on my production line and they provide for some interesting moments. My two main wishes are more fast forward levels and an online leaderboards so I can chase my friends' scores. 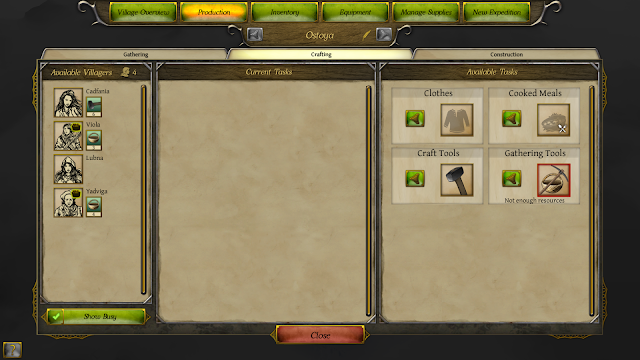 Another nice touch would be to have a 'random' setting for each parameter when setting up a custom game. Many times games are more enjoyable if the player doesn't know quite what to expect and have to adjust their play once they discover what's going on. I've read some people's complaints about the amount of content included in Big Parma and I don't get where they're coming from. There are many scenarios, taking hours to complete. Setting up a custom game offers more play for those who want it too. 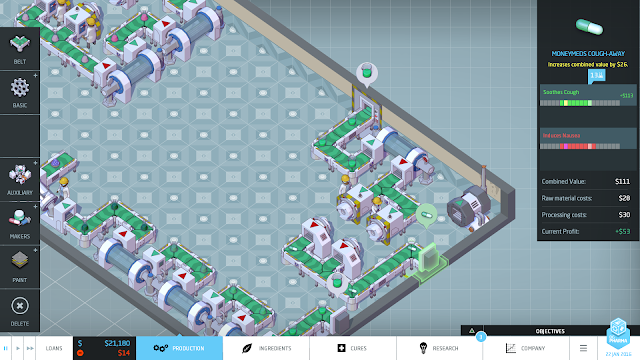 So, if you enjoy setting up and tinkering with production lines, my guess is that you'll like Big Pharma. What I like: Story and dialog. Attractive world. Some aspects of combat. Not So Much: Combat has too many mobs. Pretty easy on hard difficulty. Not all features fleshed out. Other Stuff You May Like: Lots of options to tweak how much info is presented. The Verdict: A RPG worth playing due to the world building and story. 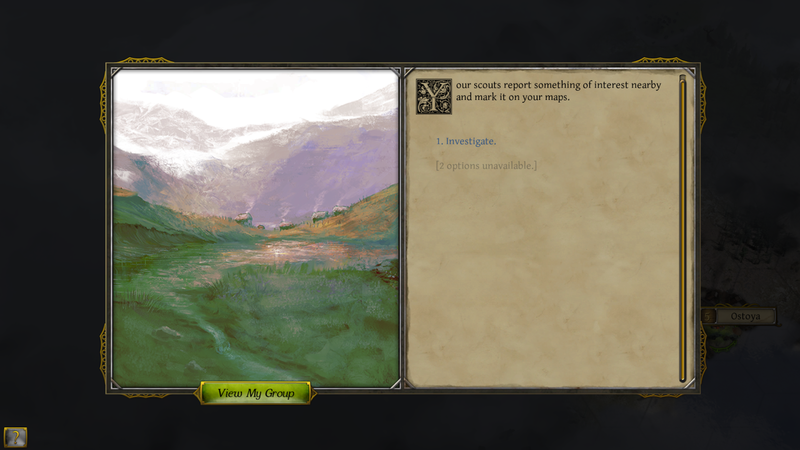 Should appeal to fans of Bioware's Infinity Engine games such as Baldur's Gate. Combat can be enjoyable and tactical, but difficulty is uneven. Disclaimer: No disclaimer. My copy was purchased for me by Desslock. Thanks! This review was written by myself and first published on Wargamer.com. 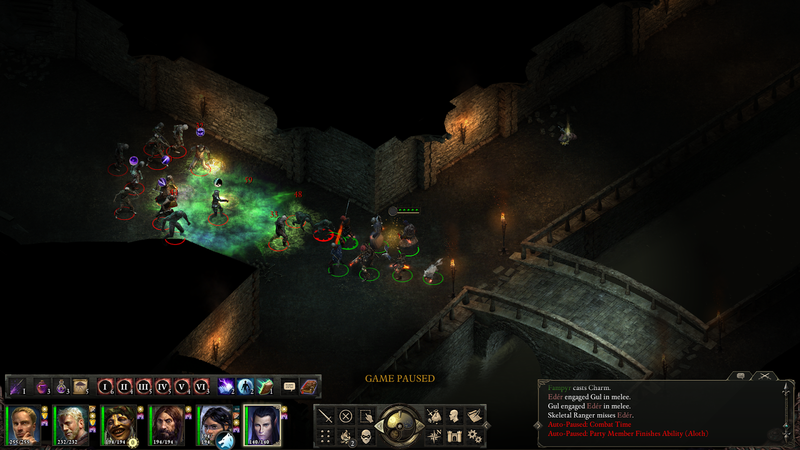 RPG fans have been eagerly awaiting Pillars of Eternity's (PoE) release since its successful Kickstarter campaign. 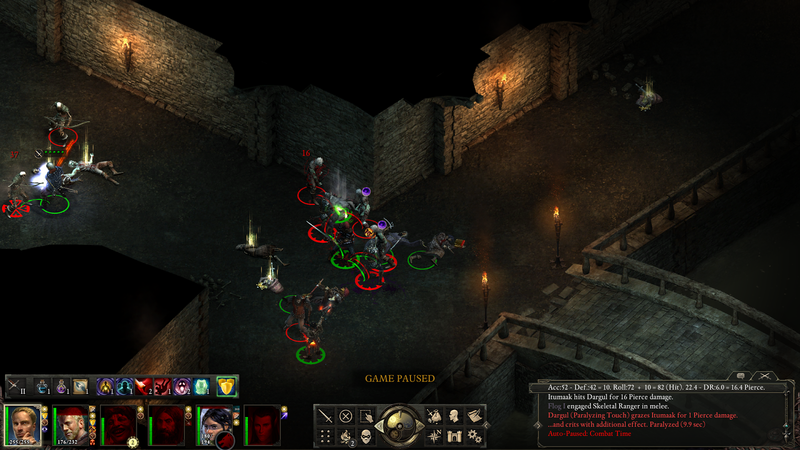 It's familiarity to Bioware games, such as Baldur's Gate is unmistakable and not accidental. Obsidian Entertainment made it clear from the get go that those games were a huge inspiration for PoE. Back in the day some of those games were among my favorites, combining interesting stories, characters and fantasy combat. Obsidian took that formula and added some modern sensibilities. Did it capture the same magic, or did it roll a 1 on the ol' 20 sided die? Like most games of its ilk, PoE starts the player off giving birth to the persona they will be channeling as they explore the new world. There are many ways to tailor your character right from the start. Each of the 6 races have various strengths and weaknesses and also grant perks - such as wood elves' affinity for ranged attacks, or the death godlikes' ability to ratchet up the pain on wounded foes. 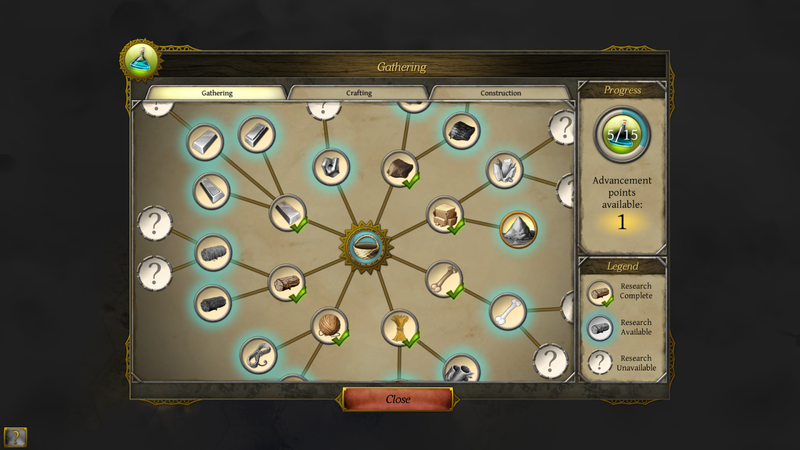 Selecting one of the 11 classes has the largest influence on how your character will perform in combat, providing an assortment of abilities. For some reason I always feel the need to play as a fighter in most RPGs, even though some of the other options are more interesting. 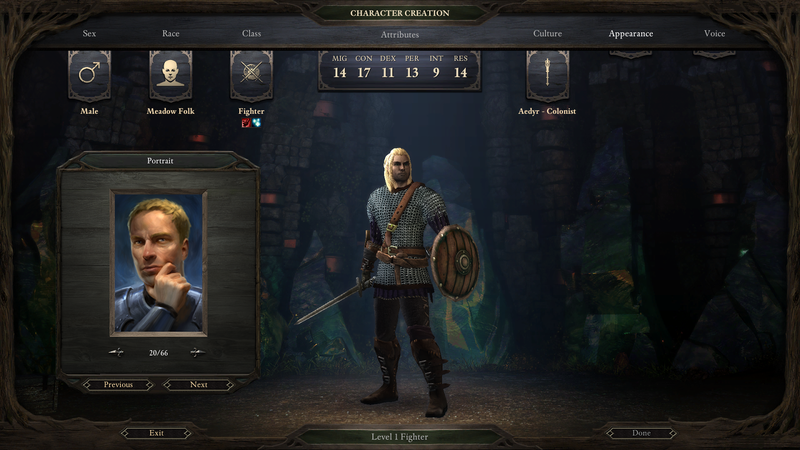 Since your party can also contain up to 5 supporting characters, getting to experience other classes isn't a problem. Control freaks can hand craft each companion, or you can invite some of the people you'll meet on your journey to join your party. Even though I tend to be a control freak, I went the latter route and wasn't disappointed, as Obsidian did a great job imbuing them with personality and their own interesting quests to complete. Flog the First, pensively considering what may lie ahead. For better or worse, PoE is based on a brand new system created by Obsidian. Those familiar with games based on Dungeons and Dragons will have some learning and unlearning to do. The in-game information is a pretty reliable source. Many elements have tool tips, open information windows when clicked, or are covered in the Cyclopedia. The manual however was out of date. Is it really that hard to provide up to date digital manuals? I think the system works well enough and provides several areas for tactical consideration. Create tanks with high constitution and deflection to weather attacks, a squishy wizard with high intelligence to lob spells from the back lines when not firing his pistol, or a chanter who buffs your party constantly while gaining access to spells over time. There really is a lot of variety between classes. At times I had the feeling that the effects of attributes in combat were too small, and the random number generator too large. Just a feeling I had. Obsidian makes their world come alive with beautifully detailed environments and music. 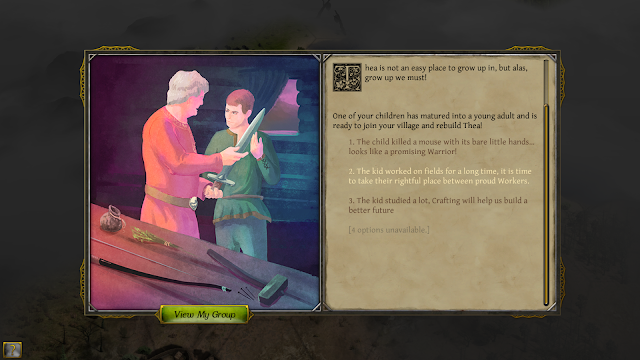 The story is told through narrative, rich conversations, and detailed lore found throughout your travels. There is a lot of reading for those who want it, but most of the detailed descriptions and background lore can be skipped if you'd like. Still, there is a lot of dialog, some voiced and some not. While the majority of the voiced dialog was done well enough, it was awkward to follow along with the text at times. The text often contained unvoiced descriptions, so you'd either have to skip them to keep up, or try and read them as the speaker moved on without you. It's a small problem, but was annoying. At times I found the writing a little too flowery, but in general it did a great job of building up the world and history. I'm not qualified to critique the technical aspects of the writing, but I consider it one of the game's strengths. Combat is typically one of the major aspects of a computer RPG and it won't be long before your first encounter. Like the games that inspired it, PoE offers real time pausable combat. Even with the many options to automatically pause the game during combat, I felt it was too fast paced - and yes I did turn on the option to automatically slow down the game's speed while in combat. Sometimes attacks are going on simultaneously. I frequently wanted to examine the results of each attack. The combat log (which can be turned off) shows quite a bit of information, but unless you're pausing frequently you won't have time to examine it. The combat log is a great tool to analyze your performance. 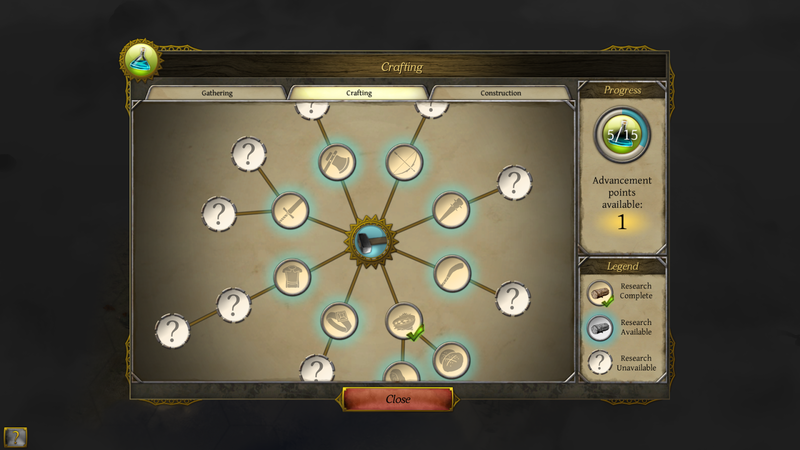 Utilizing the tool tips it's easy to see if your fighter is missing because his accuracy is less than his target's deflection. Maybe your rogue is connecting with his bow, but not causing much damage because that skeleton is resistant to piercing damage. 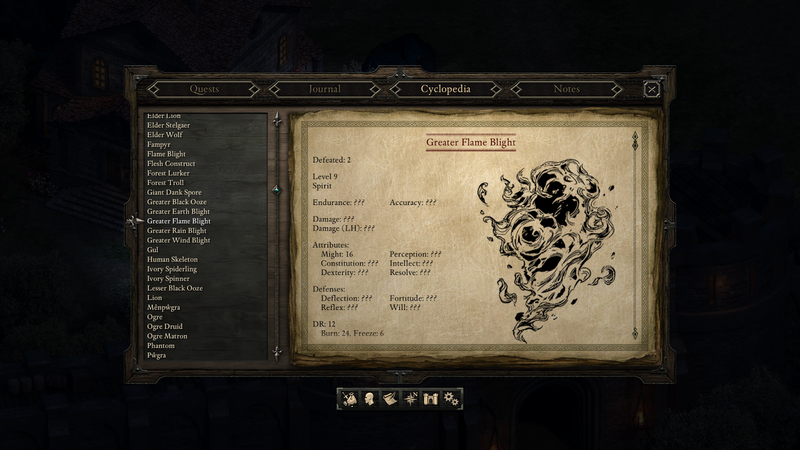 One nice touch is that as you defeat more of a particular enemy, information is added to your bestiary. This can be consulted before a battle to try and plan for the strengths and weaknesses of your enemies. These enemies don't scale with your party, so the information is always applicable for that particular creature. 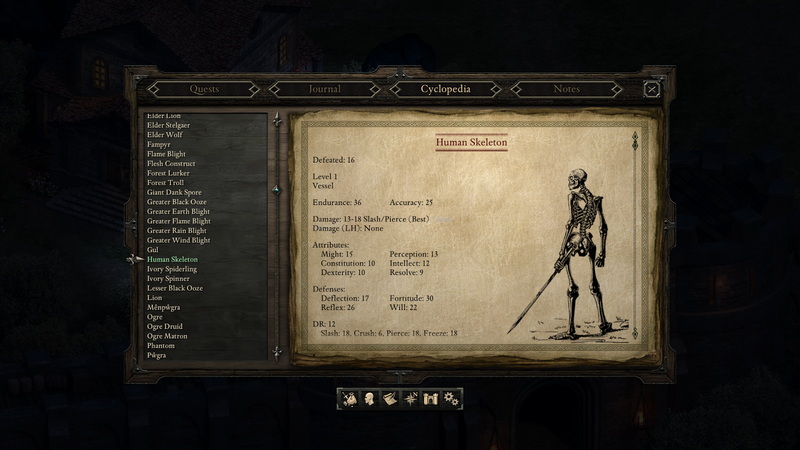 A lot of skeletons fell before my party, so the bestiary contained complete information. Greater flame blights weren't so common my bestiary is sparse. Much of combat is about controlling the battlefield. Fighters excel at engaging multiple enemies, preventing them from doing an end run around your front lines and getting to the squishy types in the back. Some of their special abilities allow them to occupy more enemies, which is useful against the large groups you'll encounter. When fighting indoors it is much easier to retain control, choosing to engage in a narrow doorway. It can be more difficult outdoors where spaces tend to be wide open. Some spells and abilities need a clear shot to the enemy, so working your wizard around to the flank is necessary to avoid blasting your front line. Others can be lobbed over the top. The UI works well for managing these attacks. That's not to say there aren't some frustrations. Sometimes units can't reach their target and it isn't obvious that the space is too small to navigate through. At times characters don't respond to commands and it isn't obvious why. In general these don't happen so frequently that they spoil combat. Since there isn't any scripting, battles do tend to require a fair amount of micromanagement - if the encounter isn't easy. Things start to deteriorate when the enemy wizard charms my priest and wizard. As I lose my squishier allies and my fighter moves to take care of the enemy wizard, the battlefield becomes more chaotic. Note the combat log tool tip showing attack rolls. 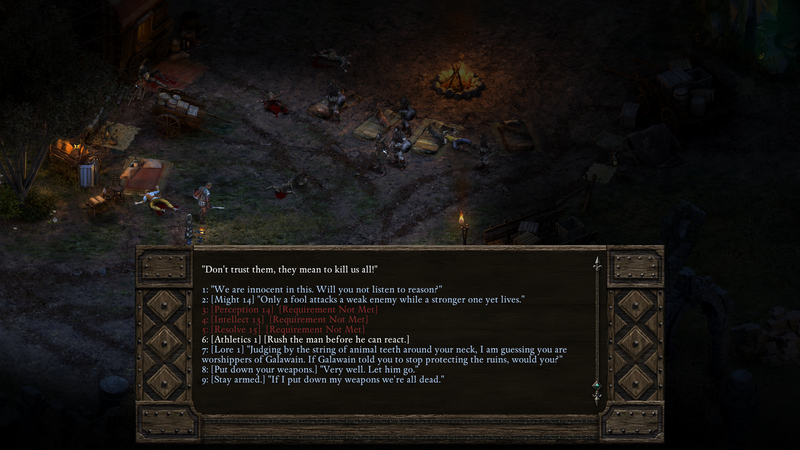 In the battle above, my plans became disrupted when my 2 party members were charmed. Most abilities and spells can't be cast out of combat. My priest has a spell that helps protect against being charmed, but I have to wait until combat begins to use it. This limits what can be handled during pre battle planning. You could try to fire your spell of quickly to protect the party in time once hostilities commence. Other than the positional challenges, the main focus is deciding who to target and bringing attacks to bear on the enemy that will be effective. A heavily armored enemy might be very resistant to slashing damage, but weak against lightning. Some abilities can be used a number of times per combat, while others can be used a number of times per rest. This system is supposed to force the player to make tough choices. Do I need to use this ability for my current fight, or should I save it for a more difficult one? I feel that this is really only a convenience tax because the player can rest anywhere (if they have the camping supplies). If they don't it just means a trip back to a store to buy some, or a rest in the tavern. It is only slightly tedious to make runs back to an inn since travel can be accomplished pretty quickly. I don't know what a good solution to this problem is, other than balance the game so abilities can be used a number of times per combat. For me the biggest problem with combat is the uneven difficulty. I completed the game on Hard (only Path of the Damned is more difficult). While the early game provided frequent challenges (the first 5 out of 12 levels or so), most battles became a cakewalk where I could just group select my characters and target an enemy. Once they go down, click on the next one. I don't envy Obsidian, because it has to be a difficult thing to balance. Maybe Path of the Damned would have been a better choice for me, but I didn't want to switch it mid review. Another option could have been to only use 4 characters in my party instead of 6, but I wanted to hear what the other characters had to say as I progressed through the game. So, with some experimentation perhaps a better balance could have been found. If you're a veteran of this type of game and like more of a challenge, I'd recommend trying Path of the Damned. I actually preferred the action point system in Divinity Original Sin, but didn't like Divinity's over reliance on environmental effects and exploding barrels. So while I think Divinity's system is better, I feel PoE's actual content was more enjoyable. Practically all experience points came from completing quests, so there is no need to grind through combat just to gain skills. Once an enemy is cleared it doesn't re spawn. 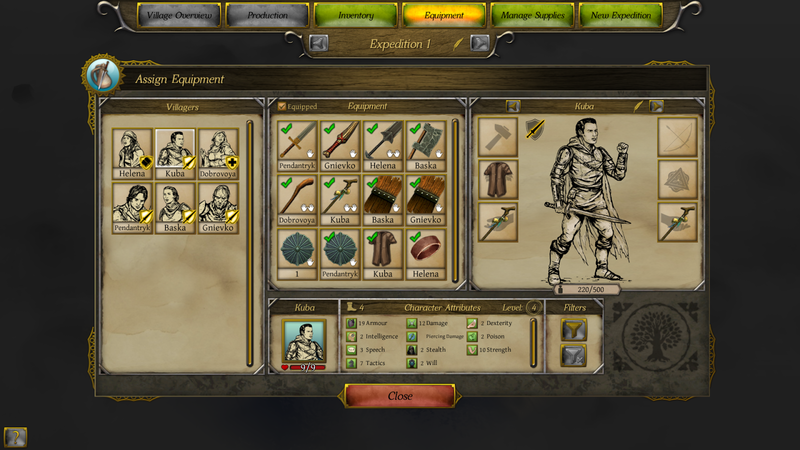 The dialog system is another area that shines. I've already mentioned how it is well-written, but it also adapts to your main character. Some dialog choices are only present based on meeting some attribute or skill value. Sometimes it may be your race or class that provides more choices. It's hard to tell on a single play through how much it actually affects the game, but it sure feels like it is personal. Dialog choices can even affect how people perceive you - such as being honest or aggressive. You can even configure whether you see dialog choices your main character doesn't qualify for - and yes, it does only consider your main character. At first I was a bit disappointed the entire party wasn't considered, but I decided having this limitation makes your choices more meaningful. There were many conversations where I agonized over what choice to make. In general I found weapons and equipment to be too similar to each other. It was rare that I got excited for a new find. Also ranged weapons seemed pretty powerful, where a single volley from my back row would turn an enemy into bloody bits. Many times I didn't even bother casting spells or using abilities since the ranged weapons were so effective. Maybe this is related to how easy much of the combat became on Hard and spells and abilities would be more important on Path of the Damned. Don't get me wrong, there were still difficult battles, but much of it was trivial. This isn't really a criticism, but more of a preference. After playing games such as Dragon Age: Inquisition, which I loved despite the weak combat, exploration from an isometric perspective just doesn't have the same impact as being immersed in a beautiful 3D environment. While Obsidian did a great job with the artwork, I wasn't wowed, like I was exploring in Inquisition. Exploring a map in Pillars is kind of like scratching off a lottery ticket. I slowly move back and forth across the map, revealing interesting locations along the way until the entire contents are revealed. Some of the systems didn't seem fully fleshed out. The stronghold you acquire is essentially a money sink. There is a long list of improvements that are essentially meaningless. You can build upgrades that give perks when resting there, but the paid rooms at inns offer better bonuses. Shops can also be added to provide more options for buying equipment, but I never found them to be worth visiting. It felt like a feature that was added because they had to, but didn't have the time or resources to put a lot of effort into. The enchantment system was also pretty limited. It could have been more interesting had there been more choices, if some of the equipment varied in the amount of enchantments it could hold, or allowed multiple enchantments from one of the three categories. I had one freeze when a new map was loading, but no other big problems. Even on a SSD drive, loading times were a little annoying, especially since it occurs whenever a building is entered and exited. 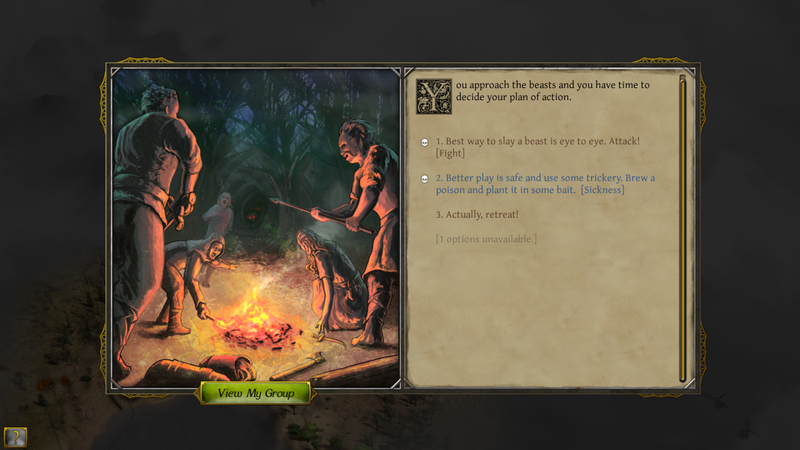 Despite some of the issues I had with the combat and other features, Pillars of Eternity is well-worth playing. It would be hard not to recommend it to fans of the old Bioware games. 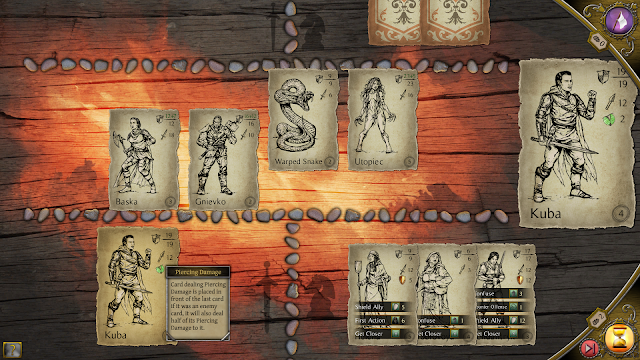 The primary strengths are the story and dialog, allowing the player to put their own stamp on how it plays out - or at least giving the appearance of doing so. I feel the combat shined in the early game. There was a particular encounter when I was still a party of one where I had to scrape by, by using some consumables. Without them I would have lost, but I was rewarded with victory by intelligently using the resources at my disposal. These types of occasions were more common in the early game. I'd also prefer fewer, but more powerful enemies then the hoard of creatures frequently encountered. The details of the combat system get lost when the battlefield is too chaotic. 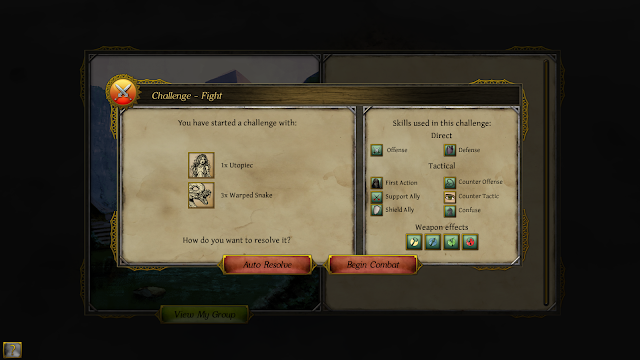 If you can find the right level of challenge by adjusting the difficult level or the number of members in your party, combat is a rewarding part of the experience. 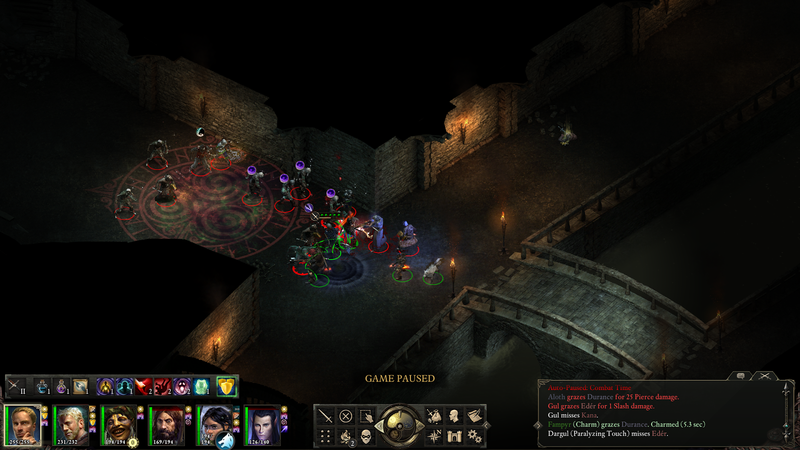 The isometric presentation feels limiting after playing a game such as Dragon Age: Inquisition, but the environments were attractive to discover. 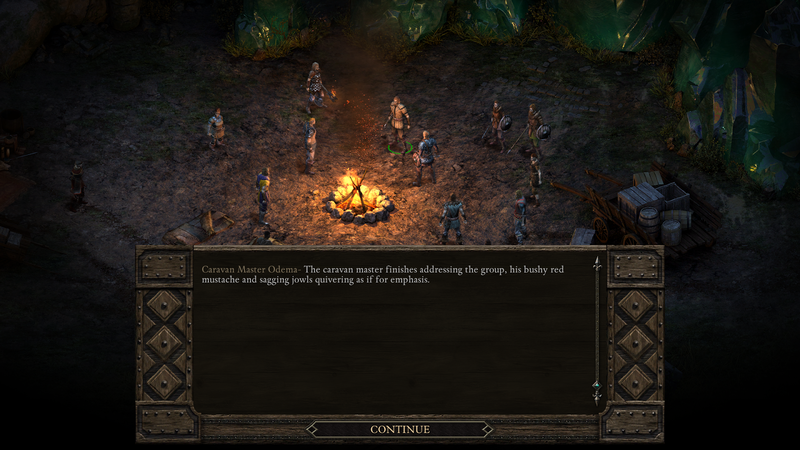 I think many RPG fans would find aspects of Pillars of Eternity to enjoy and the strengths outweigh some of the weaker elements. 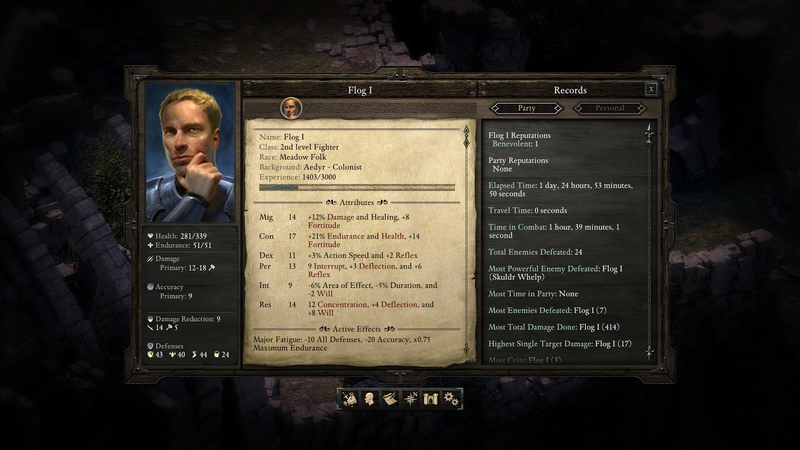 Pillars of Eternity isn't game of the year material in my estimation, but it doesn't need to be to enjoy it. A big thank you to Desslock for providing me with a copy! What I like: Wow it's beautiful! Nice ambient sounds and music too. Several fun puzzles. Not So Much: A lot of walking around and searching for items to examine. Other Stuff You May Like: About the right length for this type of game. The Verdict: The presentation is top notch and the few meaty puzzles that are in the game are enjoyable. The story is interesting enough to pull you along. Worth playing if you can handle a lot of walking through the environment not doing much at times and can appreciate the above strengths. Disclaimer: No disclaimer. I purchased my copy. 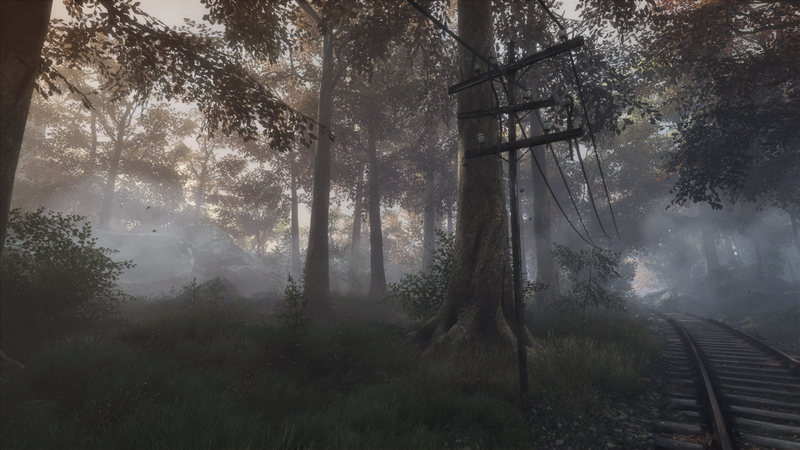 Call me shallow, but I was attracted to The Vanishing of Ethan Carter for her looks. Before I started playing, I'd heard a little bit about the game. I knew people praised it's looks - who wouldn't! I knew that there wasn't a lot of game play in the game - also true. What I didn't know is if it was a game worth my time. I'm not a big 'adventure gamer'. I used to be in the days of Sierra Online - King's Quest and the like. This was the perfect type of game for me to pick up on sale, because I didn't know what to expect. I stepped out into the forest, a light fog slightly obscuring the trees in the distance. Beautiful. Even with anti aliasing turned up from the defaults the frame rate was good. Through out the game I kept my eye on performance and other than an occasional stutter it remained a pretty solid 45-60 fps. Since there isn't any action in the game this was more than sufficient. Later when I emerged from the forest, the view was equally breathtaking. OK, so we kinda new she was going to be a looker before we even met her. Does she have anything of substance to offer? 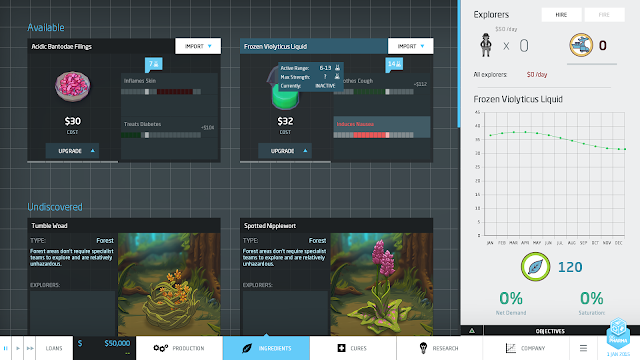 This is primarily a game about discovering the narrative, piece by piece. Information is gradually revealed through notes, newspaper clippings, narration, and other information you discover as you move through Ethan's world. As you'll soon discover, much of the game involved finding objects to examine and sometimes placing them in a particular location. No, you don't really have an inventory and these aren't intended to be tricky. It's pretty obvious what to do with an object if it has a place to use it. Some of the areas are wide open, and it isn't always obvious where to go. Having this freedom of movement makes the environment feel more real - but it does lead to some wandering. Eventually there is an invisible barrier that let's you know you're straying too far. Early on in the game, I didn't know if I had discovered everything I needed and ended up backtracking. I was right, I had missed something. Objects related to a given puzzle or narrative sequence tend to be in the same general area. Knowing this would have saved me a little bit of time, but there isn't any guidance in the game. This never caused any major frustrations as things are mostly straight forward. After an hour or two, I was afraid the entire game would be like this. Strolling through the landscape, examining items, getting bits of story and moving on. The story had me interested, but typically that isn't quite enough to keep me going. I like to do stuff. I need something to solve, if nothing else. Luckily there were several puzzles that fit the bill and I enjoyed them a lot. The first puzzle you encounter really isn't so much a puzzle as a little series of interactions. So don't get discouraged, there are some better ones to come. Parts of the game can be a little gruesome and I was OK with that. The game didn't really throw it in your face and it never seemed out of place. The game saves automatically after you've solved a particular set of clues or puzzle, so there is the potential to lose a small amount of progress. Since the game only took me about 5 hours to complete this was never really an issue, but if you know you will be quitting soon you probably want to do it right after an autosave. Taking time to enjoy the sights. Other than some occasional stuttering, which was generally after alt-tabbing, the game ran smoothly. 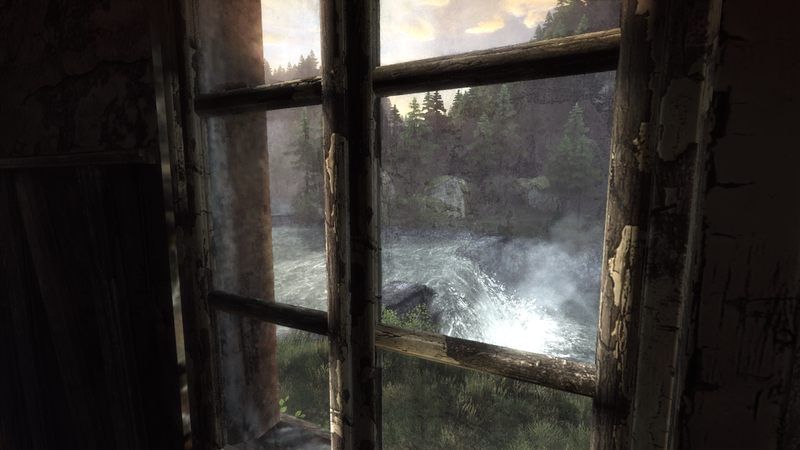 I'd put The Vanishing of Ethan Carter as a close relative to Dear Esther (which I didn't like at all) and Gone Home (which I thought was pretty good). The game is definitely more about the narrative than puzzle solving, but 3 puzzles or so were quite enjoyable. While I was wishing I had more to actually do, the beauty of the presentation, the story and smattering of puzzles made the game worth playing. At 4-6 hours it neither wore out its welcome nor felt too short for the type of game it is. 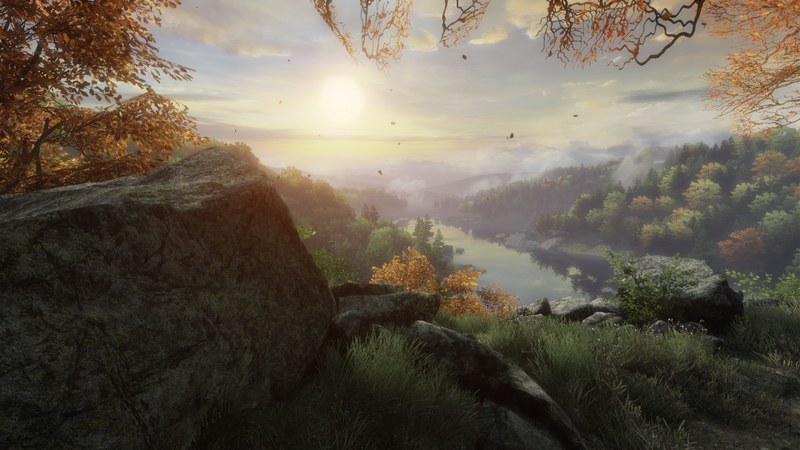 I think if you enjoyed the other two games I mentioned The Vanishing of Ethan Carter is worth a look. Having a little more 'game' to it may also make it worth playing if the thought of wandering around examining things doesn't turn you off too much. As a whole I'm happy with the time I spent with it.